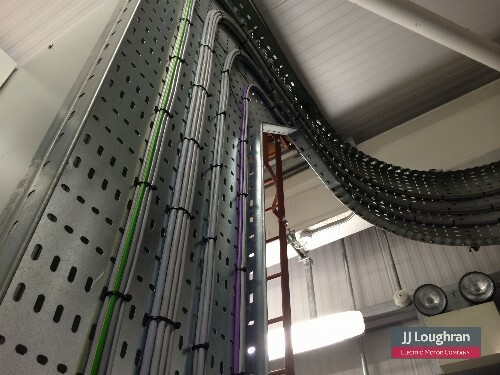 JJ Loughran offer a diverse range of industrial electrical engineering services with the expertise and backup to deliver these services on time, on budget and to the agreed specification. 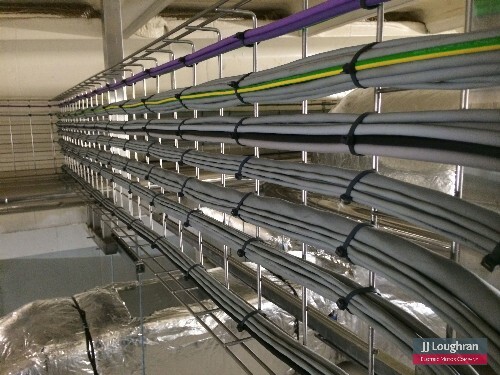 Our onsite electrical engineering designers, project engineers and installation teams, allow us to offer on site industrial electrical installations from minor works and maintenance to complete design, installation and commissioning of process and manufacturing plants, industrial new builds and power generation systems. JJ Loughran are proficient and have vast experience in the following key area’s. Mains Power – Liaising with your electricity supplier either as a new or increased mains power supply to assess the best design and purchase for your business. 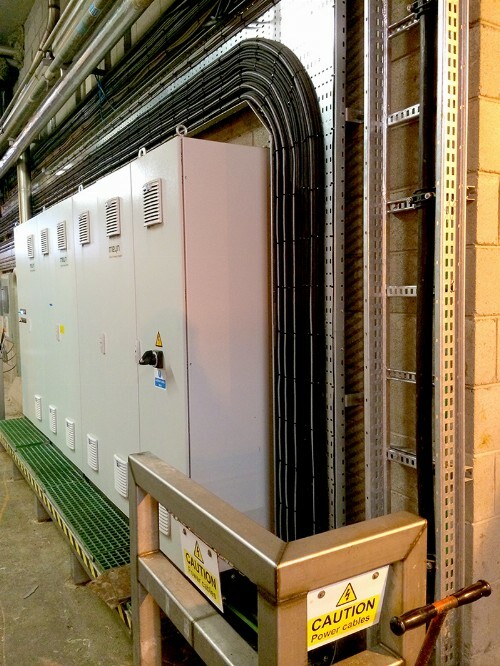 JJ Loughran have unrivaled experience in the design, supply and installation of High Voltage Transformers and Mains power boards to 5000 amps. Onsite Power Generation – As the core power source for your business or as an ancillary back up supply, JJ Loughran can size, supply and commission onsite power generation systems; we can assess the best way to integrate these alternative power sources into your electricity supply, with various changeover and synchronized methods available. We work closely with industry leaders such as Caterpillar, Cummins and FG Wilson to deliver open and acoustic generator sets and associated equipment. 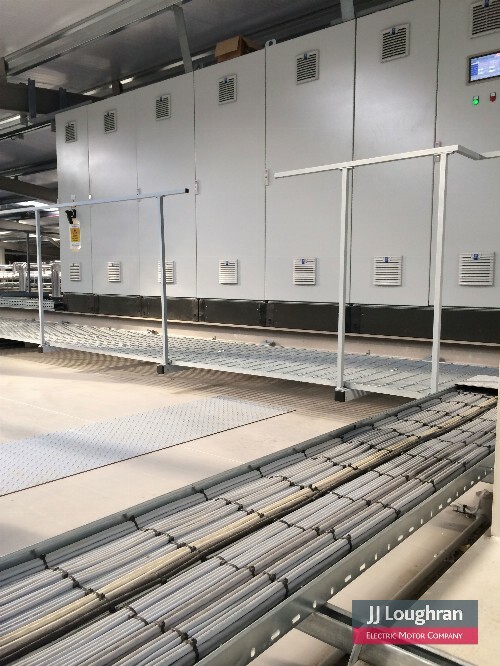 With our in-house engineering facility for guillotining, folding, punching and painting specialist bracketing that cannot be catered for off the shelf, all requirements and complexity can be easily catered for. Working as standard with switch gear manufactures such as Schneider/Square D, Scame, Clipsal and Gewiss. Low energy PL and LED lighting design, upgrades, new installations and feasibility studies. Certification – For all electrical, data and fire installations all required inspecting, testing and certification of equipment and installations to relevant BS Standards. NICEIC approved - JJ Loughran is a member of NICEIC ‘National Inspection Council for Electrical Installation Contracting’ and all onsite engineers our certified and trained to BS7671 regulations, 17th edition; and work to stringent health and safety and quality guild lines on site.